Your adrenal glands naturally produce a hormone called cortisol. This hormone helps regulate blood pressure, control metabolism and promote proper function of immune system. It is very important to maintain healthy levels of cortisol in your body. If you have a deficiency, you may have a serious condition that is an indication your adrenals aren’t functioning correctly. This article can help you increase cortisol to a healthy level. If you have low cortisol levels but aren’t getting hormone replacement therapy, you can help manage it by keeping your life as low-stress as you can. Learn to reduce and manage stress to allow cortisol to increase in your system gradually, instead of being dumped all at once curing high-stress situations. The more stress in your life, the less cortisol you will have. Consider stress management techniques like yoga, journal writing and meditation to help your body produce cortisol in regular, healthy levels. Your body produces cortisol when you are sleeping. If you are getting 6-8 hours of sleep every night and getting to bed and up about the same time, you are helping your body to naturally produce cortisol. Keep a peaceful sleep environment by reducing noise and light. This will allow you to reach deep sleep, another way how to increase cortisol. Eating foods with refined flour and high sugars can make your cortisol levels spike and drop unhealthily. Make sure to get lots of fruits and veggies, as well as whole grains to insure your cortisol levels gradual raise to a healthy level. The citrus in grapefruit can help to break enzymes down that impact cortisol production. Eating grapefruit regularly can help your adrenal glands boost their cortisol production. This supplement has glycyrrhizin, something to inhibit the enzyme in your body responsible for breaking down cortisol. When this enzyme is inactive, your cortisol levels can increase. Licorice is very useful for boosting cortisol. Consider getting licorice herb supplements as tablets at a health food store. Avoid using the candy as a supplement. There isn’t enough glycyrrhizin in it and too much sugar. These are helpful for increasing your energy when faced with fatigue. Consider iron supplements that are natural for increasing energy. How to increase cortisol? Some herbs have purported ability to increase cortisol levels. Consult your doctor before using herbs to treat low cortisol levels. This herb directly effects the adrenal glands as well as indirectly with the brain, pituitary gland, adrenal glands and stress response pathways. There are mixed results from animal studies regarding the effects ginseng has on cortisol. Some show an increase in cortisol production as well as adrenal activity while others show inhibitory effects on cortisol. This is referred to as adaptogenic property; meaning the herb has the ability to inhibit or stimulate according to what the adrenal system needs to bring balance. Ginseng shows a stimulatory effect on the hypothalamus, which is responsible for metabolism. This shows it’s helping the body to prepare for stress. It can also increase the brain’s sensitivity to cortisol. This is an important traditional herb used in Indian medicine. It helps lower blood sugar and reduce stress while under extreme stress. Ashwagandha can also help with symptoms of prolonged stress such as decreased libido, immune system suppression, impaired memory and more. This herb has also been found to be adoptogenic. It is capable of either raising or lowering your cortisol in accordance to what your body needs. There is some caution against using it with corticosteroid medications, especially if you have autoimmune conditions. Rhodiola Rosea provides numerous effects on the body and the brain, including neurotransmitter influence, endorphin production promotion, and adrenal levels increased as necessary. When under acute stress, Rhodiola can decrease cortisol levels, while promoting anti-depression effects. Rhodiola is considered the most effective of the adaptogen herbs, and has been credited with work performance improvement, fatigue reduction, anxiety reduction and more. 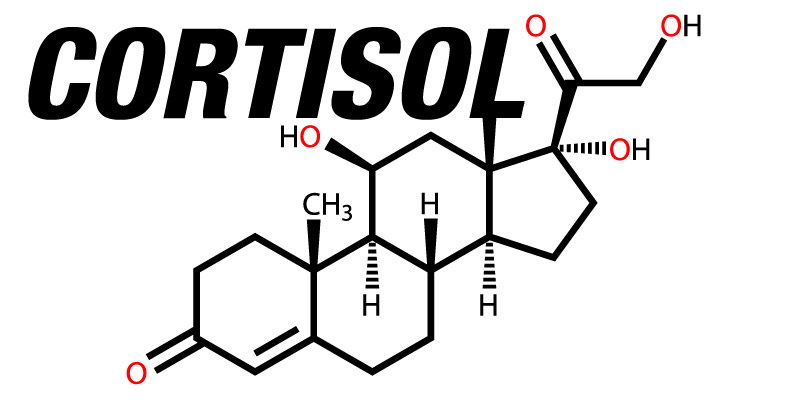 How to increase cortisol? Western medicine most commonly treats cortisol deficiency with hormone replacement. If you have low enough cortisol levels, you will need synthetic replacements. This is when your doctor will order hydrocortisone or another oral corticosteroid. Taking this prescription every day can raise cortisone levels. You need to test your cortisol levels regularly while in hormone therapy to insure you aren’t over or under doing it. Oral corticosteroids come with a range of side effects such as mood swings, weight gain and other symptoms. Speak with your doctor to know what to expect. Those that suffer from very low cortisol levels can speak with their doctor about getting injections. If you have super low cortisol levels, getting into stress can be particularly dangerous. Cortisol helps your stress response, without it you may go into a coma. Your doctor can show you how to perform your own cortisol injections if there is an emergency. When stress arises, you can boost your cortisol with a shot to help your body handle the stress and not shut down. Hormone replacement therapy can help with the symptoms but there is still an underlying problem you need to deal with. Speak with your doctor to help come up with a solution to getting your adrenal glands functioning properly. If there has been irreversible damage or you have permanent trouble causing your adrenal glands to not function, hormone therapy is likely the best solution. If your cortisol deficiency is because of a secondary cause such as cancer, bleeding, tuberculosis, or pituitary disease, there are other treatment options for you to consider getting you back on track with your cortisol levels.